This is a solid option for unblocking Netflix and other streaming sites, but is let down by some slow speeds and lack of live chat. A relatively small US-based provider owned by KeepSolid Inc., VPN Unlimited promises to “provide internet users with unrestricted access to information, all the while securing their privacy to the full extent.” While it hasn’t been the center of any controversy, there is debate about whether or not VPN Unlimited can really deliver on its promises of unblocking geo-restricted services, securely, and privately. We’ve taken this service for a test run to see how it measures up to the likes of ExpressVPN, NordVPN and other popular VPNs. Read on to find out everything you need to know to decide if VPN Unlimited is right for you. VPN Unlimited has just one plan available but offers steep discounts when you opt for longer terms. If you pay on a monthly basis, you’ll spend $9.99 per month. But you can get about half off that price and pay $5.00 per month when you sign up for an annual term. Going for three years is an even better deal at $2.78 per month. 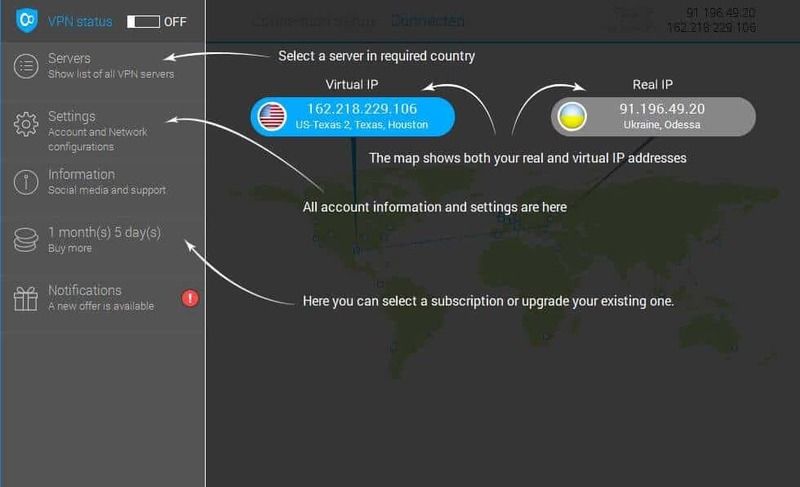 Aside from the standard plan, optional add-ons include your own personal VPN server (starting at $18.33 per month) or a personal static IP address (starting at $12.50 per month). Each plan enables you to connect up to five devices simultaneously. A router counts as just one device, so you should be able to easily cover a household with one plan. These are pretty good deals overall, and although similar ones are offered by competitors, they are at the lower end of the scale, and there are definitely pricier alternatives. Plans come with a 7-day money-back guarantee, which is less generous than many competitors that offer 14-day or even 30-day money-back guarantees. Payment is accepted in the form of credit card, PayPal, Amazon, bitcoin, MINT, AliPay, some gift cards, plus a few more options. Apps can be downloaded for Windows, MacOS, iOS, Android, Linux, and Windows Phone. If you want to protect your home router, you can purchase a pre-configured router from FlashRouters, or configure a compatible router manually. Plans give you access to more than 400 servers in over 70 locations. There’s no data cap, so you freely enjoy browsing, streaming, and downloading. P2P is allowed on certain servers, so VPN Unlimited is suitable for torrenting. Security highlights include strong encryption, perfect forward secrecy, DNS leak protection, and a kill switch. There’s a choice of protocols, including OpenVPN and KeepSolid’s own protocol, KeepSolid Wise. 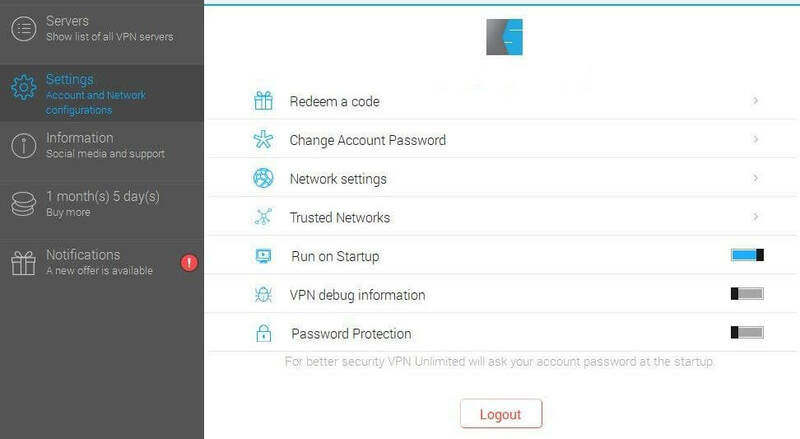 Once you’re all signed up for VPN Unlimited, setup is super simple. Just download the appropriate app for your device, then install and run it. For the purposes of this review, we tried out the Windows desktop client and the iOS mobile app. For the Windows desktop version, once you’ve launched the app, you’ll be prompted to sign in using your credentials. You’ll then be shown a quick tour of the app to help you navigate the different sections. This isn’t really needed, however, as the app itself is generally intuitive and easy-to-use. Once in the main screen, you can use the upper left-hand toggle to connect and disconnect. If you don’t choose a specific server, you’ll be connected to the fastest server for your location. To choose which one you’d like to connect to, you can select the Server tab to see a list of options. The first few choices are Optimal and several streaming options. The Optimal selection will automatically take you to the fastest server. The streaming options are there to enable you to unblock platforms like Netflix and BBC iPlayer. The remainder of the list is in alphabetical order by country, but the city is listed alongside the country name. You can mark a location as a favorite by clicking the star to the right of it. Then, when you switch to the Favorites tab, the starred location will show up. There’s also a search function in the list to save having to scroll to find what you’re looking for. Moving on to the Settings tab, here you’ll find a bit of a random selection of options laid out in no particular order. Redeem a code and Change Account Password are self-explanatory. Just below, you have Network Settings. Here you can decide which protocol to use, with choices including OpenVPN and KeepSolid Wise. Beside each option, there is a brief description of what you can expect from that protocol in terms of security and performance. Going back to the Settings tab, the next option is Trusted Networks where you can choose to deactivate the VPN connection for trusted networks. Overall, the desktop client looks good and is easy-to-use, although it is a bit disorganized. The mobile app for VPN Unlimited is so aesthetically different to the desktop version that no one would guess they’re part of the same service. However, the bones of the apps are very similar. Once you log in to the iOS app, you’ll be taken directly to the server page. This has an interactive map with dots marking server locations. You can select a server by tapping a dot. This will bring up a popup with the name of the location and an on/off symbol. Clicking that symbol will connect you to that server. The connection can be toggled on and off at the bottom of the screen. Alternatively, you can use the dropdown option to select your desired server. Here, there are several list options: Recommended, Favorites, Streaming, and All. To access settings, select the menu icon in the upper left-hand corner of the screen and select Settings. Here you can turn on automatic wifi protection (more on that below), change your password and its settings, and enable Touch ID recognition. Near the bottom of the screen, you have Protocols. Enabled by default is Optimal, which enables the app to choose the best protocol for your current conditions. Otherwise, you can switch between protocols manually using the menu below. 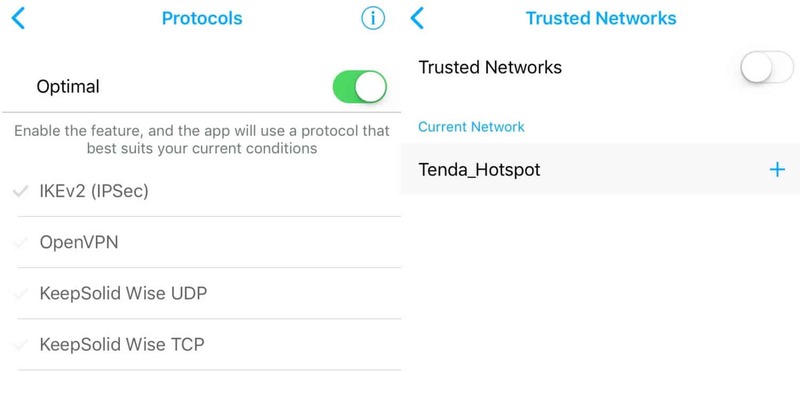 Back in the Settings screen, below protocols, you have Trusted Networks. Similar to the desktop app, you can choose to add networks you trust to be secure. If toggled on, the VPN won’t connect when you’re connected to one of your trusted networks. VPN Unlimited operates a relatively small network of over 400 servers in more than 50 countries. While it’s a bigger network than that of some providers such as PrivateVPN, it pales in comparison to a network like that of NordVPN, comprising 4,500+ servers. To choose your server, click the Server tab on the left of the client and see a full list. At the top, you’ll have the option to select a specific type of server, including Optimal for the fastest, or Streaming (for particular streaming services). Some providers enable you to view servers by city, but VPN Unlimited just alphabetizes by country and shows you the city alongside. Below each server location, you can see the current load on that server. You can add a server to your favorites list by clicking the star to the right, and view your favorites list by clicking the Favorites tab. Servers that allow P2P are labeled TORRENTS. The server list in the mobile app is similar to the one in the desktop version, except that P2P servers aren’t marked. We tested several servers in the US and UK from our test location in Canada. We were mostly able to stream HD video with no buffering and could play online games without issues. The time it took to connect to a server was never more than a few seconds and for the most part, there was no noticeable slowdown while browsing. The exception was the UK server we tested, and there was definitely significant slowdown for general browsing there. We also experienced buffering while streaming HD video through this server. This was the most geographically distant server we tested, so this could have been the issue. As such, it would be worth always trying to connect to a nearby server when possible. We aim to make our speed tests as empirical as possible, so we connect to various server locations and run tests for each four times per day (at six-hour intervals). We test VPN servers in the UK, the US, Hong Kong, Germany, and Australia. The tests are run from Canada and a 50MB test file is downloaded from a US server. For every test that is run, the average download speed is recorded and the aggregate data is displayed in the interactive chart below. In the Simple tab, you can see how VPN Unlimited compares to the other VPN providers we’ve tested when it comes to median download speed. As you can see, it’s the slowest we’ve reviewed so far. Switching to the Detailed tab shows you a more in-depth version of the results. You can see here that VPN Unlimited simply isn’t measuring up to the competition and doesn’t peg any fast speeds at all. On the plus side, the spread in results is fairly tight, so at least you know what to expect once you’ve been using it for a while. Does VPN Unlimited unblock Netflix? Yes, VPN Unlimited does unblock Netflix. When testing for Netflix, we usually test a few random servers first to see if they’ll work. We used several servers located in the US East and West, but with no luck. Each time, we got the dreaded Netflix proxy error. However, as mentioned earlier, on the VPN Unlimited server list, you can choose special streaming options. When we selected Streaming, Netflix, Hulu, California, San Francisco, we were able to seamlessly watch Netflix. With Netflix cracking down on the use of VPNs to access their content, many providers simply can’t enable users access to the service. Others require that users contact customer support in order to be directed to the appropriate server. While it’s not a huge deal to hop on a live chat, it’s definitely a perk to be able to simply click and connect at your leisure. As with many other providers, it appears that VPN Unlimited only works to unblock the US Netflix library. This one is the most popular, so providers tend not to spend additional resources trying to unblock the others, though there are some that do. Aside from Netflix, we also tried accessing other streaming services. Those looking for UK content will be happy that the UK streaming server unblocked BBC iPlayer, All 4, and ITV Hub. Unfortunately, We didn’t have the same luck trying to access Amazon Prime Video with the US streaming server, or other US servers for that matter. Yes, VPN Unlimited should work in China. With China’s Great Firewall strengthening and becoming increasingly hard to beat, many VPN providers have all but given up on trying to serve users in China. VPN Unlimited is one of the few that is trudging on and is dedicated to providing Chinese users with options for accessing the free web. It claims to provide six location options: Canada, the US, the UK, Germany, Singapore, and Hong Kong. However, for the best chance of a connection, you should be using the KeepSolid Wise protocol, a stealth protocol designed to beat the strongest of firewalls. 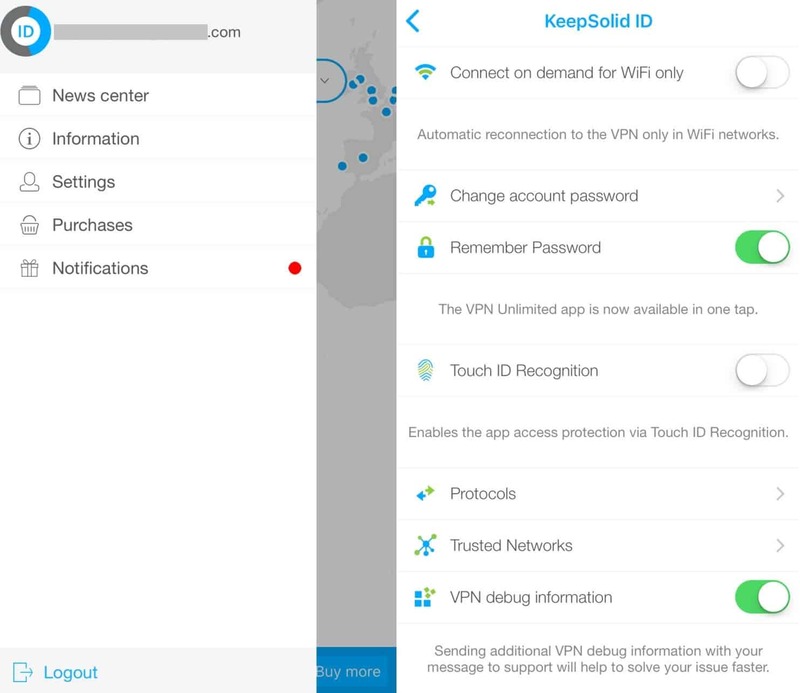 VPN Unlimited is owned by KeepSolid Inc., a US-based company, which may ring some alarm bells for those worried about data retention. Indeed, the US is a Five Eyes (and Fourteen Eyes) country. This means government agencies from other countries in the alliance could potentially spy on users and place gag orders on the VPN company. The best protection against surveillance is for there to be no information for anyone to track in the first place, and thankfully, VPN Unlimited delivers on that front. This provider uses 128-bit AES or 256-bit AES encryption, depending on which protocol you’re using. This is in conjunction with 2.048-bit RSA keys for authentication as well as perfect forward secrecy. There are multiple protocol options to choose from, including OpenVPN, L2TP/IPSec, IKEv2, KeepSolid Wise, and PPTP. KeepSolid Wise is a stealth protocol that uses ports TCP 443 and UDP 33434 to bypass even the strictest web restrictions, although the provider warns it may lower performance. You can switch your protocols in Settings > Network settings. Apps come with built-in DNS leak protection to keep your IP address from escaping the encrypted tunnel. VPN Unlimited does use public DNS servers — operated by Google — as opposed to private ones. This means that Google can track browsing history through DNS requests, although it can’t actually see your real IP address. DNS leak protection can be toggled on and off in Settings > Network settings. A kill switch is built in, which acts as a backup by killing the internet connection if the VPN connection is lost for some reason. The kill switch is enabled by default and there’s no option to turn it off. One more thing worth detailing a bit more is the Trusted Networks feature. This isn’t really a security feature as it lessens security, but it can come in handy. Basically, you can automatically turn off the VPN when connected to trusted networks. You may want to do this if you’re conducting activities that don’t require a high level of security or privacy and that would be slowed down or hampered by the use of the VPN. Finally, there’s automatic wifi protection. When turned on, this will automatically force the VPN to connect every time you connect to a wifi network. If you need assistance with getting set up or run into any issues while using the VPN service, chances are you’ll need some customer support along the way. Your first port of call might be the FAQ pages. These are pretty thorough, well-organized, and easy-to-use. Alongside those, you’ll also find manuals detailing setup instructions for the various apps and manual configuration. If you need to speak to a member of the customer support team, unfortunately, there is no live chat available. Instead, you can send an email or fill out a contact form. In the bottom right-hand corner of the website, a Support button brings up what looks like a live chat window, but it’s actually just another email form. However, we are assured by representatives that the live chat function is in the works. VPN Unlimited claims that its average response time is one hour. We got responses to our queries within about half an hour to an hour and a half, so their claim seems to hold up. It’s not quite as handy as live chat, but it is fairly prompt. 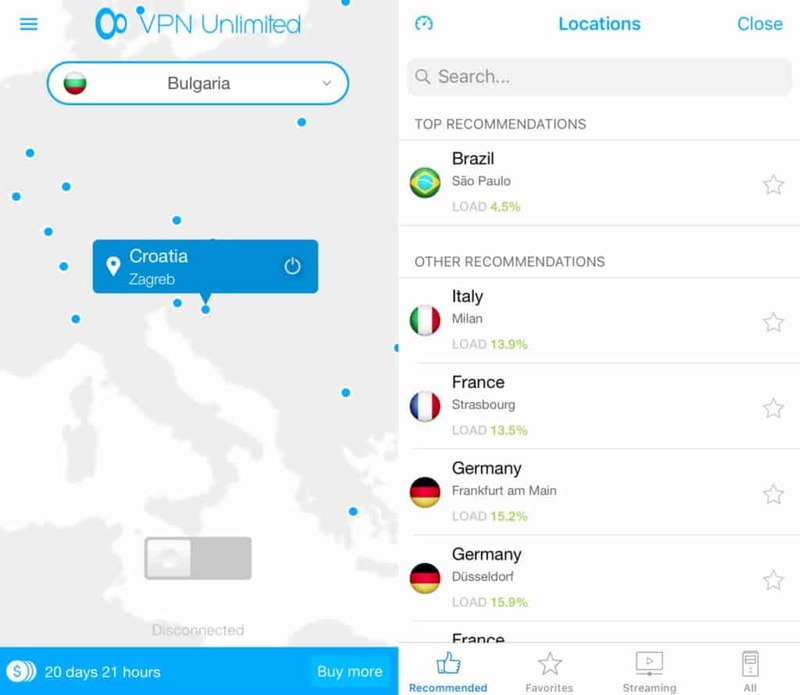 Overall, VPN Unlimited provides a solid offering. It offers the ability to unblock US Netflix, BBC iPlayer, and more, so it’s a good option for streamers. However, you’ll need to connect to a geographically close server to avoid buffering. The combination of P2P-friendly servers, unlimited data, and a no-logs policy means that this should be a great service for torrenters, too. However, the slow speeds make it less attractive. VPN Unlimited should work in China, so anyone living or traveling there might consider this a solid option. Although, the lack of 24/7 live chat might be a turnoff for some users, especially beginners who may be looking for easily accessible support.